ENG teams and others have a new means of putting cellular and Ku-band to use. Dejero and Intelsat have rolled out CellSat, a “blended” cellular and Ku-band IP solution that can deliver 10-Mbps signals for live television coverage from remote locations. The goal is to use both technologies together to provide a more robust signal that is free from possible limitations of cellular signals. Bogdan Frusina of Dejero says CellSat meets market needs for more-reliable and cheaper ENG transmission. 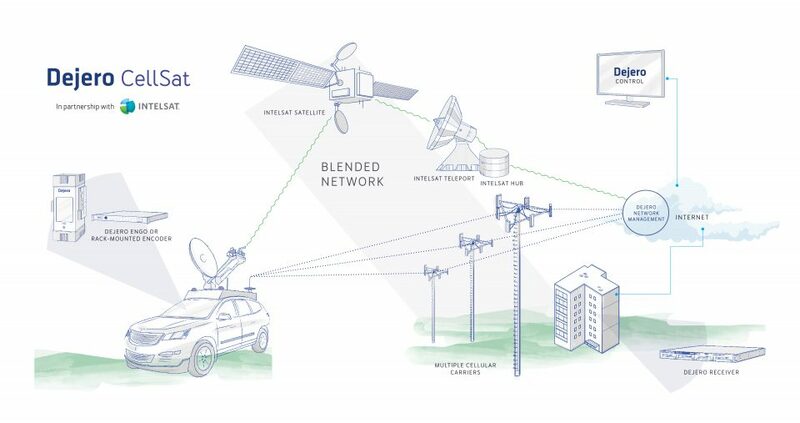 Dejero CellSat leverages Dejero’s patented network-blending technology to combine cellular connectivity from multiple mobile-network carriers with Ku-band IP connectivity provided by Intelsat. It automatically blends in Ku-band IP satellite connectivity to boost bandwidth to the requested level for the live shot. Bitrates top out at 10 Mbps, and latency is around 2 seconds. The Dejero CellSat solution communicates with the satellite-terminal auto-acquire system to simplify the satellite connection process. There is no need to schedule satellite time, saving crews valuable time and removing the constraint of broadcasting within a certain time window. In addition to managing the fluctuating bandwidth of individual cellular connections, CellSat software dynamically allocates satellite bandwidth for optimal performance. Frusina says CellSat will be attractive to those looking to create more content with smaller budgets and whenever and wherever they desire. The system requires the Dejero EnGo or rack-mounted encoder to be connected to a satellite terminal and antenna. Once the camera is connected, a signal of between 5 Mbps and 10 Mbps can be sent across multiple paths to Dejero receivers, which create an SDI output for playout. Most satellite vehicles with existing Ka-band or Ku-band equipment can be upgraded for compatibility with Dejero CellSat. Peter Ostapiuk, head of media services, Intelsat, considers CellSat an evolutionary step as Intelsat looks to develop new applications in new verticals. 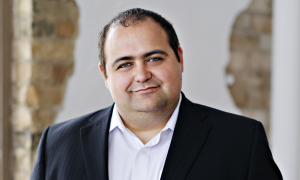 He notes that, with many customers looking to hybrid IP and cellular networks, Dejero is a natural fit. Dejero CellSat is available in the U.S. and Canada, with rollout to other regions planned for 2018.